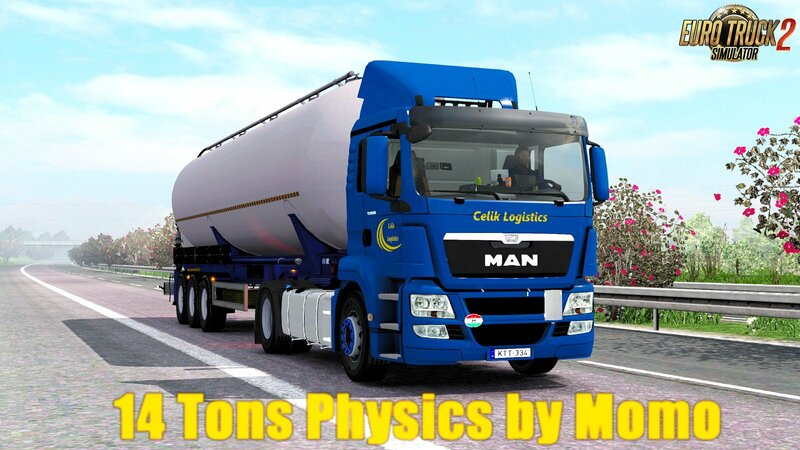 14 Tons Physics v1.1 by Momo (1.30.x) for Euro Truck Simulator 2 game. This is my old mod, ported from Steam Workshop. This mod may not be realistic but it’s made for people who want to feel a very heavy truck. – No changes made to the engine, transmission, clutch, brake. – New in 1.1 added SCS’ new Scania S & R, RJL Scania. – NOT compatible with any other physics mod. – You should try this mod without any seat mod first to see the effect of this mod. If it’s still not enough for you, you can add a seat mod later.